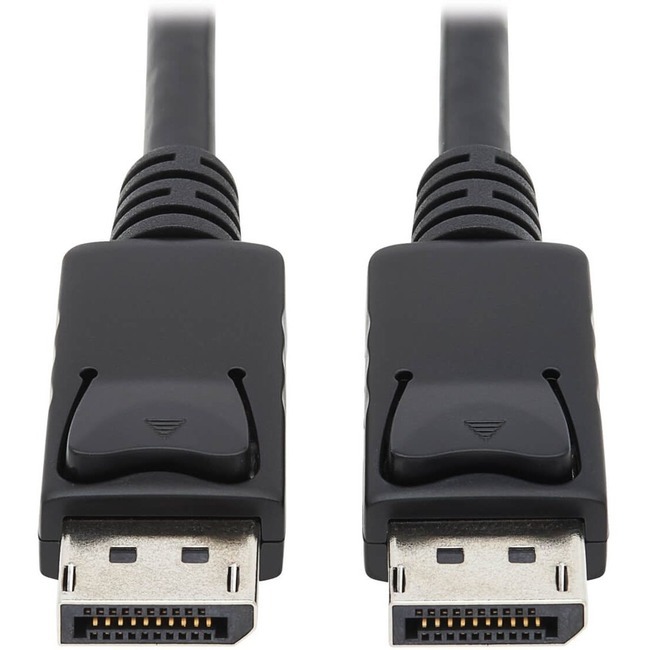 Tripp Lite 10ft DisplayPort Cable with Latches Video / Audio DP 4K x 2K M/M - (M/M) 10-ft.
DisplayPort cable with latches offers a high-quality, digital display interface standard for computer and display monitors, or computers and home theater systems. Advanced design sends both video and audio signals for seamless operation. Molded strain relief prevents damage at the vulnerable points for error-free data transmission. DisplayPort cable supports a maximum bandwidth of 10.8Gbps, as well as DPCP (DisplayPort Content Protection), HDCP, and Ultra High Definition (UHD) 4K x 2K video resolutions up to 3840 x 2160.